Absolutely stunning drones on this one. Areal was originally an A/V installation (complete with fog machine), the audio portion of which has been transformed into this magnificent album length piece on 23five. Garet’s work has been focused on electromagnetic fuckery, specifically with messing up radio signals, and this is a further exploration. It’s an exceptionally precise record with a hundred different sounds working through cycles of hissing & clicking. Hyper focus on the details is the only way to fully appreciate this when everything is as subtle and delicate as dust floating in a patch of sunlight. Areal‘s sounds are the breath of a sleeping city, a digital microcosm of hidden harmonies and static clatter, a barely visible vertical sheet of ice that’s slowly melting, simultaneously warmed & chilled, stretches of hushed minutiae, cut through with shrill tones and cracked wind. Not enough good things to say about this. 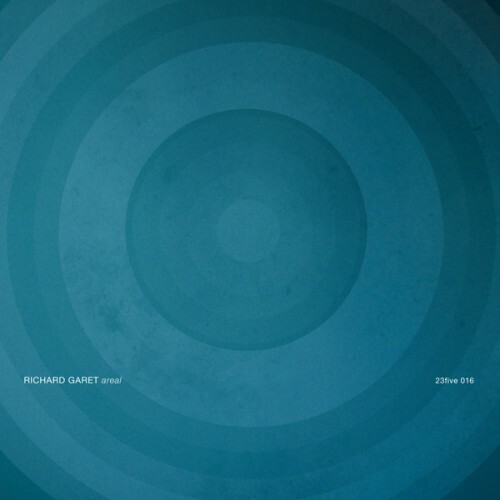 And not surprised in the least, as both 23five and Richard Garet are always on top of the game.